Cleaning an agricultural tank before planting season seems like a waste of time. Why clean your agricultural tank before planting when it’s going to get covered in crud? Why not wait and clean it? The answer is the same as something mom says: if you don’t do it now, you’ll never do it! Cleaning your agricultural tank to prep for planting season is at the top of your to-do list. It will alert you to problems, get your tank in tip-top condition, and look sharp. 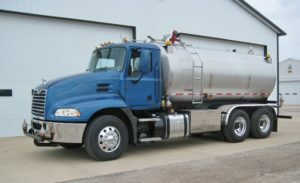 Before you get started, did you clean your tanker after last season? If not, now is the time to do a quick pressure rinse to get the big clumps of dirt and debris off of your tanker. After you’ve finished that and let it dry, it’s time to get down to business. Apply a high pH solution (start more diluted until you know what works with your equipment) to your agricultural tank, but do not let dry as it will cause streaking. This means you should work in small sections. Let sit for just under a minute to fully lift residue. Spray off with warm water as you would wash off a car. This process will rid your agricultural tank of dirt, oil, and other debris. You can repeat until you’re satisfied with the results. After this, clean off your windshield, clean up your tires, and clean the cab. This process will give you an opportunity to look closely at your tanker and notice any problems that may affect you during the upcoming planting season. 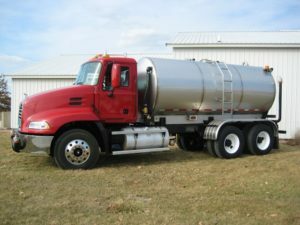 If you do see any major problems or you decide your agricultural tank is finally past its prime, it may be time to call Osco Tank & Truck Sales for truck refurbishment or a custom built agricultural tank. We can build an agricultural tank that fits your needs and is customized with special options that you want–all while staying within your budget. We are happy to work with you and give you a tanker you’ll love for years to come.